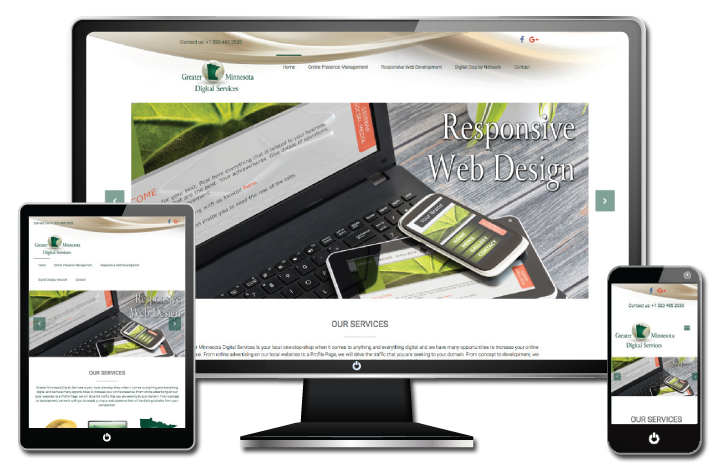 Whether you are looking to build a website from the ground, up or need to revamp your current site, Greater Minnesota Digital can take the stress out of the process, so that you can focus on running your business. We offer complete web design services to get you and your business where you need and want to be. We will meet with you to find out what your specific needs are, make sure your questions are answered and provide you with a detailed quote before we start the process. Next, we will put together a concept and get your feedback before going back and fine-tuning everything. We will work with you throughout the process to make sure your needs are being met. 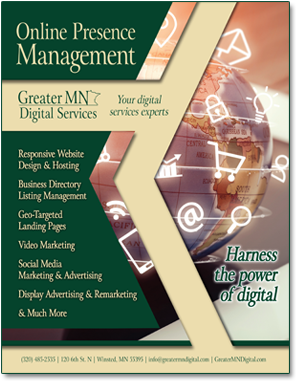 Greater Minnesota Digital understands that a website must be visually appealing, but also meet a company’s goals. We can create or transform your site so that it is a tool that is both aesthetically appealing and functional.